Update: Turns out it was a simple misunderstanding. Larry Sanger told TNW he accidentally logged in with the wrong username of and older account. 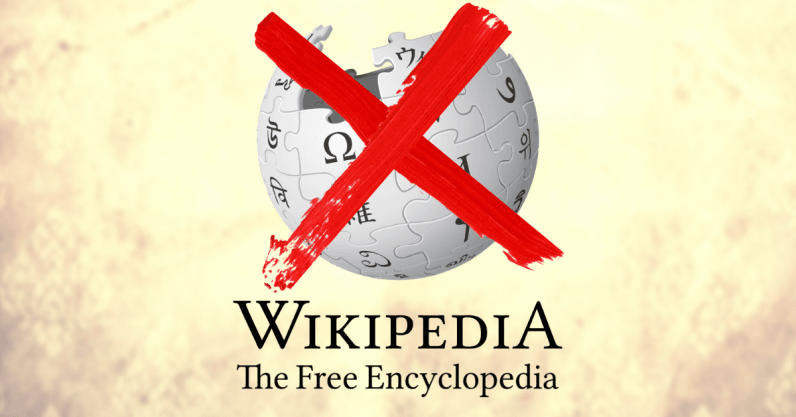 Wikipedia spokesperson said the older account had been inactive for some time (about 10 years) and was blocked by volunteer administrators after showing signs of being compromised. This is a normal, consistent process taken by volunteer administrators to protect the security and integrity of Wikipedia. That explains why Sanger got a message he was blocked when he typed in a slightly different username. I am not blocked by Wikipedia. It was all a silly misunderstanding that is entirely caused by me. I was trying to login with “LarrySanger” when my username is “Larry Sanger”. I had forgotten about the space! What follows is the original article. Larry Sanger, one of Wikipedia’s co-founders along with Jimmy Wales, has ironically been globally blocked from editing Wikipedia — so he took to Twitter to remedy it. Hello, @Wikipedia. My account was "globally locked." Can someone please unlock it? Thanks. We reached out to Sanger, who has no idea why his account has been locked. “Possibly someone logged in as me and did some damage, but I think I would have learned about that,” Sanger told TNW. Larry Sanger and Jimmy Wales haven’t been on the best of terms since Sanger left Wikipedia back in 2002. They’ve clashed over a range of things, like how to manage an open online encyclopedia. Sanger even wrote an 8,000 word essay here on TNW, detailing how to make a better Wikipedia and has started a new blockchain-based encyclopedia called Everipedia. Sanger doesn’t think that his relationship with Wales caused the block, but it does come after more recent disputes. If I’m now permanently banned, I’d like someone to tell me directly, with an explanation. I might ask @jimmy_wales, but he blocked me a few months ago on Twitter. While it remains unclear what happened to Sanger, you can be sure the truth will surface soon. Stay tuned to TNW to see if the Wikipedia co-founder can get his Wikipedia account unblocked. Read next: What is a Facebook 'legacy contact' and why do you need one?